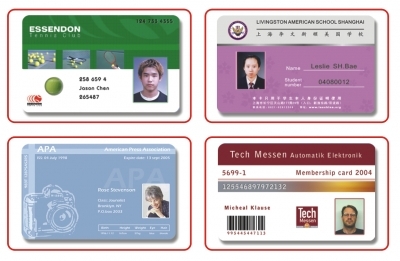 Security ID can produce other types of identification cards for your requirements. We also stock a range of card holders and lanyards for use with our identification cards. 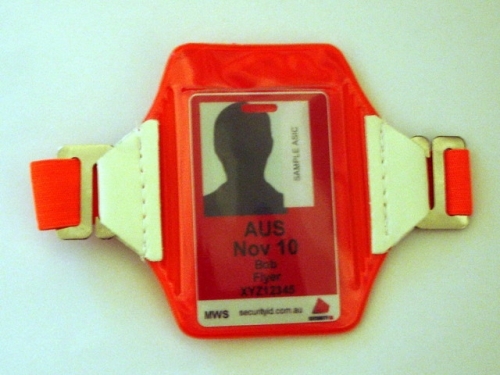 Fluro arm band id card holder. Complies with aviation regulations for displaying an ASIC (must be worn above waist facing front or side). Ideal for baggage handlers, construction and maintenance workers. Also available in white. To enquire about Arm-band Card Holder click here. Prices from $6.60 for your design. Colour front, with photo, optional black print on rear. Protective over-laminate or security over-laminate available. To enquire about Security ID Cards click here. From $1.50 each. 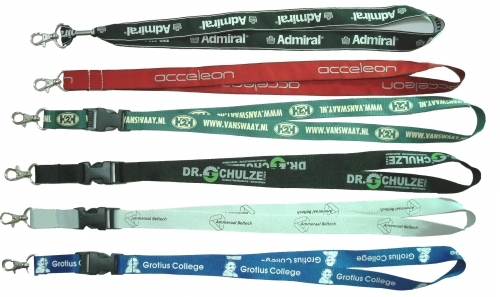 Customised printed lanyards from $3.00 each (minimum order 250). To enquire about Lanyards click here.